Showing results by author "Deanie Francis Mills"
An investigative reporter sensing a big story, Jillian Ross drags her friend Randi into a rough Dallas neighborhood to cover a political rally. When a riot breaks out, Randi is gruesomely murdered. Feeling responsible, Jillian descends into a lethargic depression. Her friend Ash McGraw, a fire investigator, gets her moving again when he enlists her help to find a serial arsonist. But the arsonist is always a step ahead--almost as if he’s inside Jillian’s head. 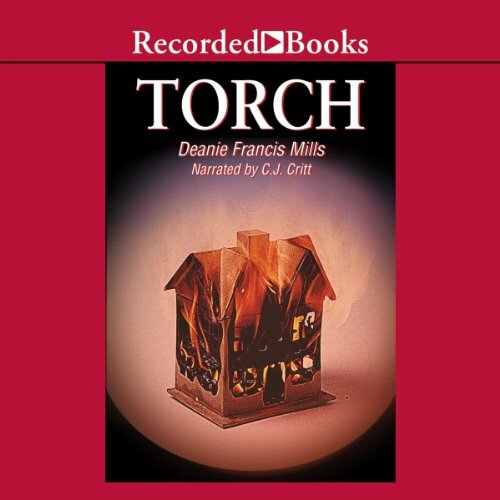 Acclaimed writer Deanie Francis Mills holds listeners spellbound with this swift and intricately written suspense novel. Mystery Scene raves "Mills writes the kind of book that Alfred Hitchcock loved to film." Tight Rope explores just how far a woman will go to save her daughter from an abusive father. Margo Skinner’s narration captures each emotion of the diverse characters while revealing their shocking secrets.